We have been re-decorating our sitting room, and now have an exuberance of parrots swirling over the curtains. They cover the length of the room so are very dominant and they lift my heart every time I go in there. Closed, they veil the room in pale green light, like suffused sunlight through trees. It follows , to me anyway, that bright colour accents must dance around the room, so I have sought out our most colourful ornaments, especially the more exotic ones. 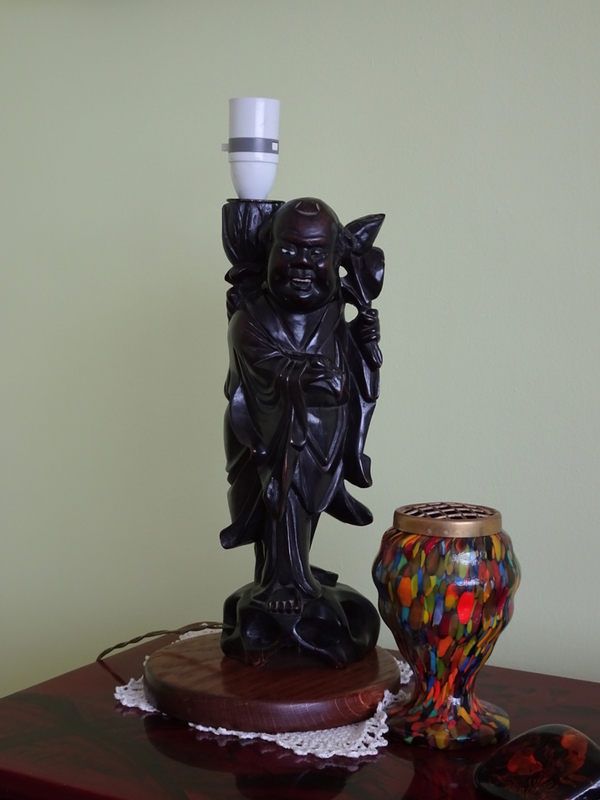 I have a herd of disparate elephants, three “traffic light” Limoges enamel bowls, a twenties vase covered with splodges of paint, six brightly coloured clip-on budgerigars climbing over the lampshades, and a black wooden statue lamp of a Chinese boy holding a bat, wing extended, (!) and a lotus flower. This last I have known since before I can remember. He needs a shade. So, I have bought a “coolie” frame, and some handmade paper featuring leaves which I intend to be the base for a Chinese Dragon crawling round the light. 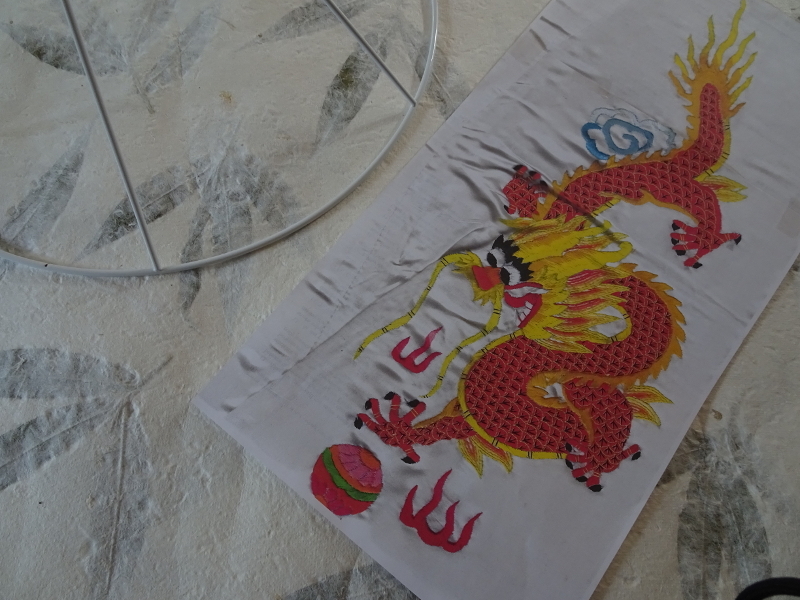 I have sourced the Dragon ( he needs a Capital Letter, I think) from a kimono, but he’s very confined. His limbs must move out from his body if he is to curl effectively. I also want him to stand proud of the shade to create a sense of movement. He’ll be in watercolour when I get that far so this story does have relevance to a painting blog! That Dragon is going to need a name…. !